Gurr Brothers Construction has been serving the Arizona for over 10 years. We have grown our company with the simple formula of a “Commitment to Excellence”. That legacy of “Commitment to Excellence” survives today. Gurr Brothers Construction is committed to providing the finest Arizona roofing products and the most trusted service in the industry. Hail damage can be hard to spot from the ground. Highly trained Inspectors from Gurr Brothers Construction know what to look for and can identify if your roof has been compromised and needs replacement. The Gurr Brothers Construction HAAG Certified Professional is trained and tested to inspect and evaluate your current roof. To achieve the HAAG level Certification, each Gurr Brothers Construction professional is required to complete over 60 hours of classroom and field training, followed by an extensive test. This level of education and training sets the standard of quality, ensuring our customers are cared for at the highest level. 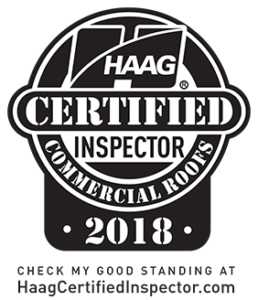 There is no obligation with our Free Inspection call us 24/7 to arrange for a HAAG Certified Inspector from Gurr Brothers Construction to complete a thorough inspection of your roof at no cost to you. 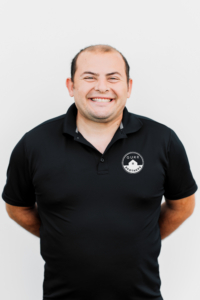 We look forward to earning your future recommendation as your preferred Arizona roofing company. If you think you might have damage to your roof, the first step for you is to have a qualified roofing professional inspect your roof. Roofs are a dangerous place for most homeowners so getting a professional roofing adviser to do your inspection is always recommended. Call us at 480-826-7759 to arrange a complimentary professional inspection of your roof from a Gurr Brothers Construction HAAG Certified Inspector. 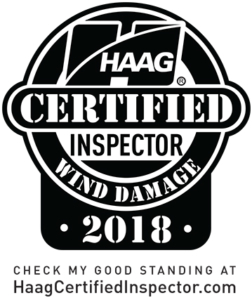 Your Gurr Brothers Construction HAAG Certified Inspector will have extensive training and certifications in hail and wind damage assessment and important experience and understanding in the Insurance Claim processes. Our highly trained HAAG Certified Estimators are experts at identifying damage – damage that most untrained eyes might miss. We then provide you with pictures, an inspection summary and all the information you will need to submit a claim if your roof is damaged by weather. If your roof is found to have damage, our 10 plus years of experience will lead you through the steps of properly documenting the damage and the insurance claim requirements and processes. Call 480-826-7759 today. If your roof is determined to have un-repairable damage due to hail or wind, your Insurance company will need to verify the damage and approve a claim for replacement. Gurr Brothers Construction has been working with homeowners and Insurance companies for over 10 years and we understand the process for approval and what the insurance companies need to make a proper decision on your claim. Your HAAG Certified Inspector can help answer questions you may have during the Insurance Claim process. If the Insurance company agrees that your damage is covered under your policy, you will receive an approval for replacement. Now it gets fun! “Commitment to Excellence” is easy to say, but it’s much harder to do decade after decade. We work very hard everyday to deliver beautiful new roofs, on time and at competitive prices. We hope that your visit to our website will portray our commitment to you and give you good reason to call us with your roofing needs. There is no obligation with our Free Estimate. We’d be honored to serve you. As you may have seen already, we have included several video testimonials on our website from past customers. We want you to know that your satisfaction with a job well done and exceeding your expectation is our goal. Roof replacement is a complicated and messy process. We aim to make it simple and clean for you. .